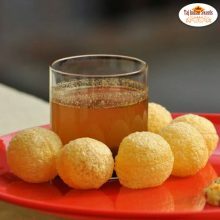 India’s one of the loved street food is Aloo Tikki that is served with a spicy curry and various chutneys. 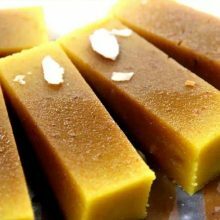 It is also known as “Ragda pattice” and is sold on the various chaat stalls throughout the country. 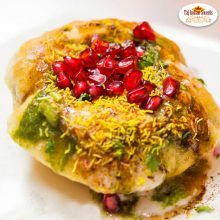 Check out our Authentic taste of Aloo Tikki Chaat in Harris Park, which is made with mashed potato patties mixed with coriander, onion and spices, deep-fried in oil. 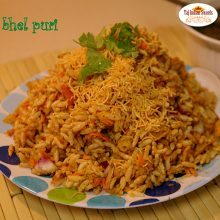 Bhel Puri is an Indian dish of puffed rice, onions, spices, and hot chutney. 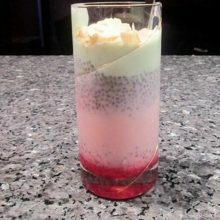 ‘Though many parts of India have their own versions of puffed rice mixture, the most known being the bhelpuri, in south Indian it is called murri mixture where puffed rice forms the base of the mixture. 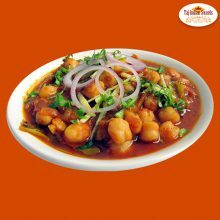 Chana also known as chickpea is one of the oldest pulse or legume known to mankind. The main ingredient is a variety of chickpea called chana meaning black chana. 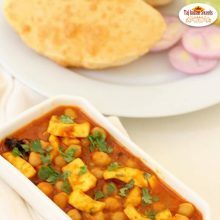 Chana refill in Harris park, that we offer at Indian restaurant in Sydney, Australia are twice the diameter of typical chickpeas with a stronger flavour and firmer texture even after being cooked. It’s bursting with taste, a stronger flavour and firmer texture even after being cooked. Palak Patta Chaat is a North Indian dish that is made using spinach leaves, green mint chutney, sweet yogurt and vermicelli. 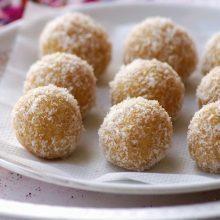 This much loved recipe serve people as a healthy option and is a great snack dish for different occasions like evening tea and kitty parties. 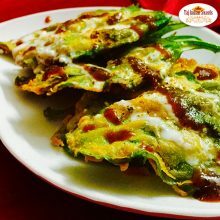 At Taj Indian sweets and restaurant, Harris Park, we serve Palak Patta Chaat in Harris Park as a much healthy appetizer and as a great snack for evening tea. 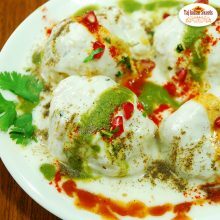 Papri Chaat is a yummy street food Indian snack with crunchy crispy small pooris which is topped with lip-smacking chutneys, yogurt and veggies. 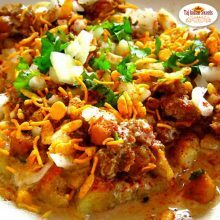 Made using a motley of bases, chutneys, munchies and fresh ingredients, Papdi Chaat in Harris Park can be sweet, tangy, spicy or savoury. 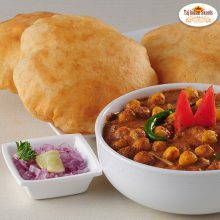 Raj kachori is aptly called as the king of all kachoris or a king sized kachori simply because it is royal size as well as taste. 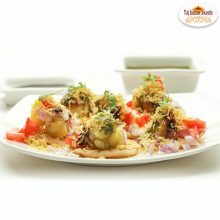 Raj Kachori in harris park, Australia is considered as a spicy chaat mostly found in north india. 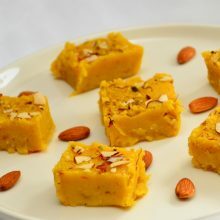 It is a all time snack, rich in spices and multiple flavours ranging from sweet, spicy, a tinge of chutneys. 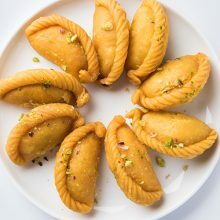 Samosa Chaat is an snack that is filled with extreme flavours and is amongst some of the most popular street foods in India. 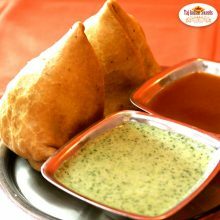 Samosas are crushed lightly and garnished with curd, green chutney, sweet tamarind chutney, chaat masala powder, green chillies, onions, cucumber, sev and coriander leaves on top. 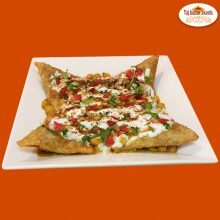 Tasty Samosa chaat in Harris park is a popular Indian savory snack available at Indian food restaurant In Australia. Sev puri is made with puffed rice and sev(a vermicelli-like snack made from gram flour), both of which are available at Indian markets. These dry ingredients are then mixed with onions, potatoes, chaat masala, and chutney. 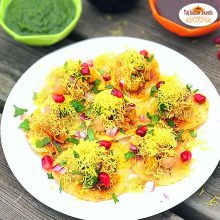 The amalgamation of different tastes is the beauty of Delicious Sev puri in Harris Park, Australia.